This 4-day instructor-led course introduces SQL Server 2014 and describes logical table design, indexing and query plans. It also focusses on the creation of database objects including views, stored procedures, along with parameters, and functions. Other common aspects of procedure coding, such as indexes, concurrency, error handling, and triggers are also covered in this course. Also this course helps you prepare for the Exam 70-464. Note: This course is designed for customers who are interested in learning SQL Server 2012 or SQL Server 2014. It covers the new features in SQL Server 2014, but also the important capabilities across the SQL Server data platform. Describe the architecture and editions of SQL Server 2016. Work with SQL Server tools. Explain the available options for enforcing data integrity and the levels at which they should be applied. Implement entity and referential integrity. Choose appropriate data types for indexes. Design and implement clustered and nonclustered indexes. This module explains covering indexes and the INCLUDE clause as well as the use of padding, hints and statistics. The module also covers the use of the Database Engine Tuning Advisor and index-related dynamic management views to assess indexingstrategies. Describe the elements of an execution plan. Monitor your system to assess the performance of your indexing strategy. Describe the considerations for updating tables with non-clustered columnstore indexes. Explain the role of views in database development. Describe the role of stored procedures and the potential benefits of using them. Control the execution context of a stored procedure. Design and implement table-valued functions. Describe implementation considerations for functions. Explain advanced DML trigger concepts. Design and implement memory-optimized tables. Explain the importance of SQL Server CLR Integration. Implement objects that have been created within .NET assemblies. 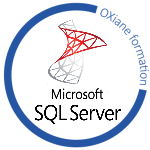 Implement the XML data type within SQL Server. Use the T-SQL FOR XML Statement. Shred XML to a relational form. Describe the importance of spatial data and the industry standards related to it. Explain how to store spatial data in SQL Server. Perform calculations on and query SQL Server spatial data.